Everyone thinks of Byloom as the go-to place for handloom sarees. Yes their six-yards collection is gorgeous but have you seen the home decor here? Get a standout look for your pad - add a with a hint of quirk, a splash of bright colour and standout folk prints and patterns from this store. You thought Byloom was simply best for sarees and kurtas? well, it's time to rejig your impression because we found fab new home decor items that will legit turn the look of your home. Sticking to the label's eco-conscious ethics and stress on folk and traditional art and craft forms, the home decor collection wears a cool mix of kitsch and fun. 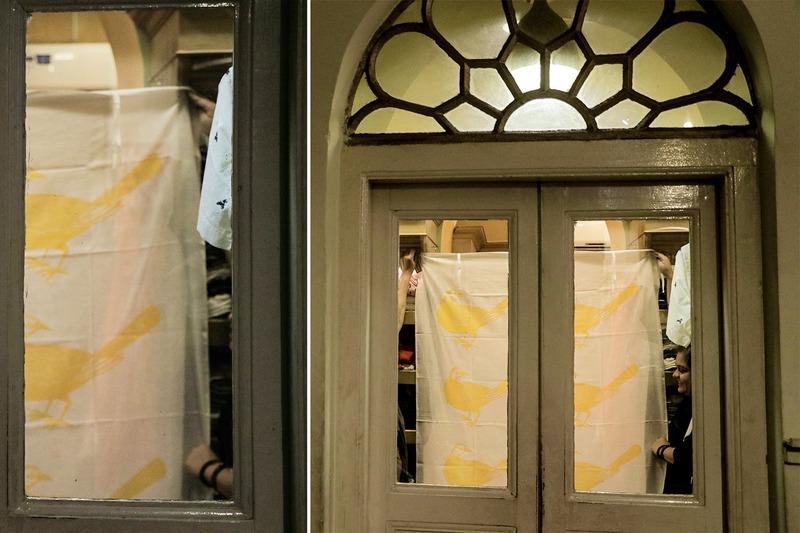 Check out their pure cotton white curtains that come with different animal and bird prints in vibrant colours. 'Lal Morog' or 'Kalo Kaak', these curtains will certainly go well with the fabulous indigo bedcovers that have another Bangali fixture - the Hutum Pancha - on them. Pick the brilliant coloured intricate kantha bedspreads to brighten up your walls and mood. Contrast these with their cushion covers that have bunting borders with folk graphic details and patches of quirky embroidery. The throw pillows are equally fun. And for the walls you can pick the folk masks that come in vibrant colours (perfect to kitsch up a slice of wall or nook). The fibre glass-laminated kantha coasters will compliment your table as good as the Kolkata-inspired ceramic chai glasses. And for your refrigerator and other metal panels you can pick their mask and Kolkata doodle magnets.